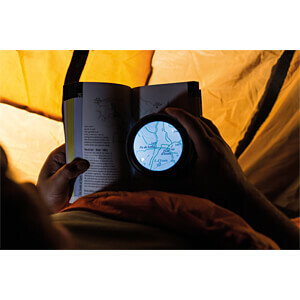 Perfect for high reading comfort. 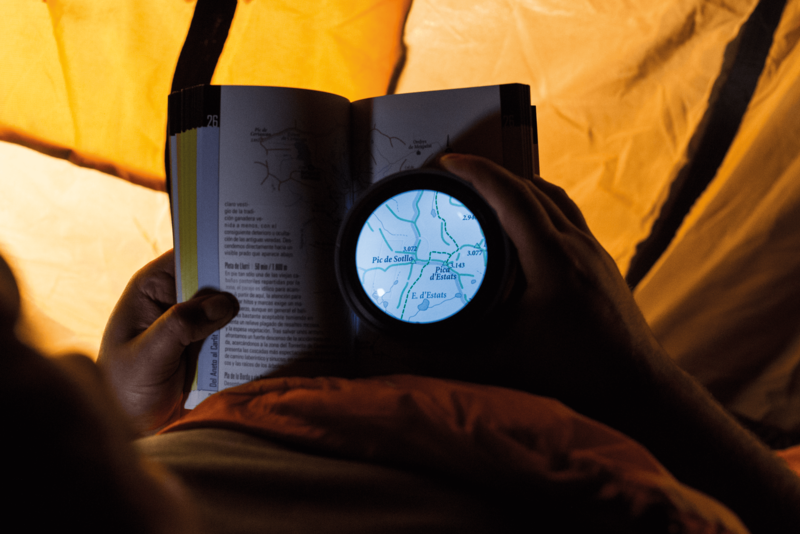 Day or night, the smolia RC features up to 8,5 hours of reading comfort. 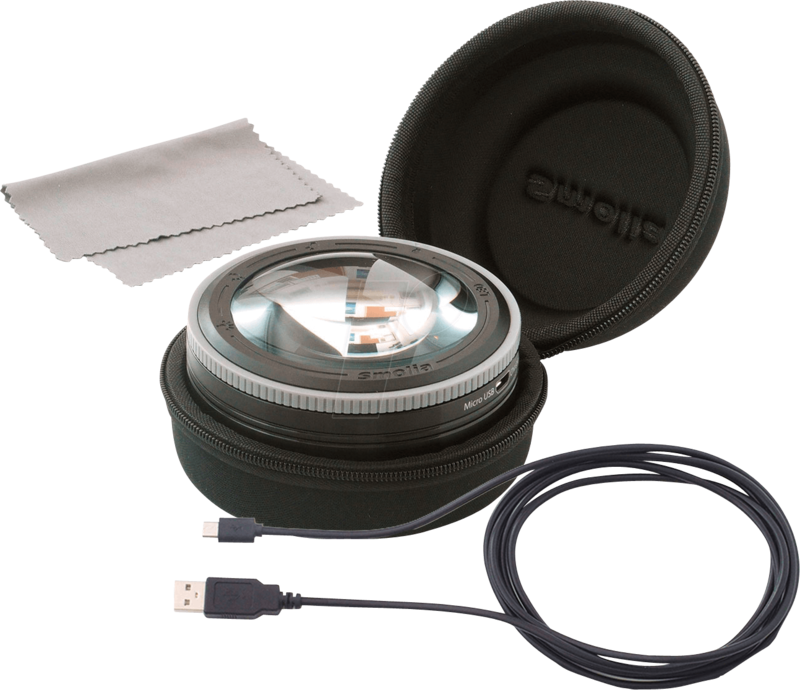 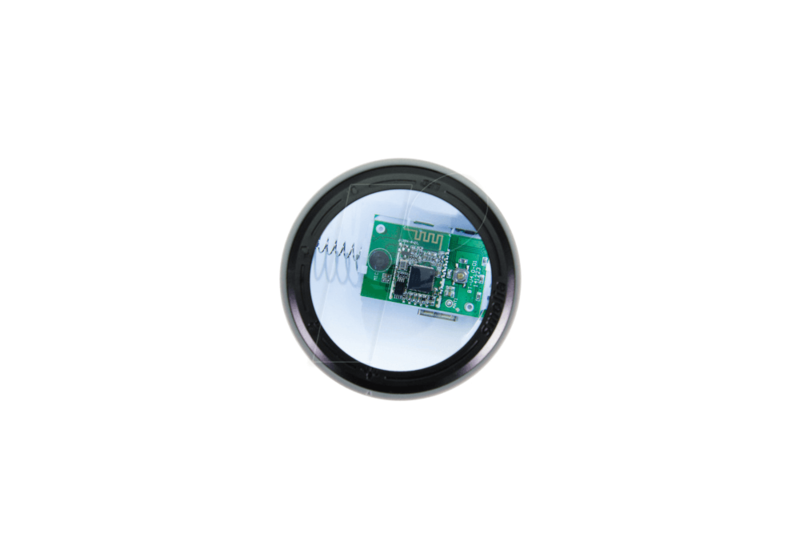 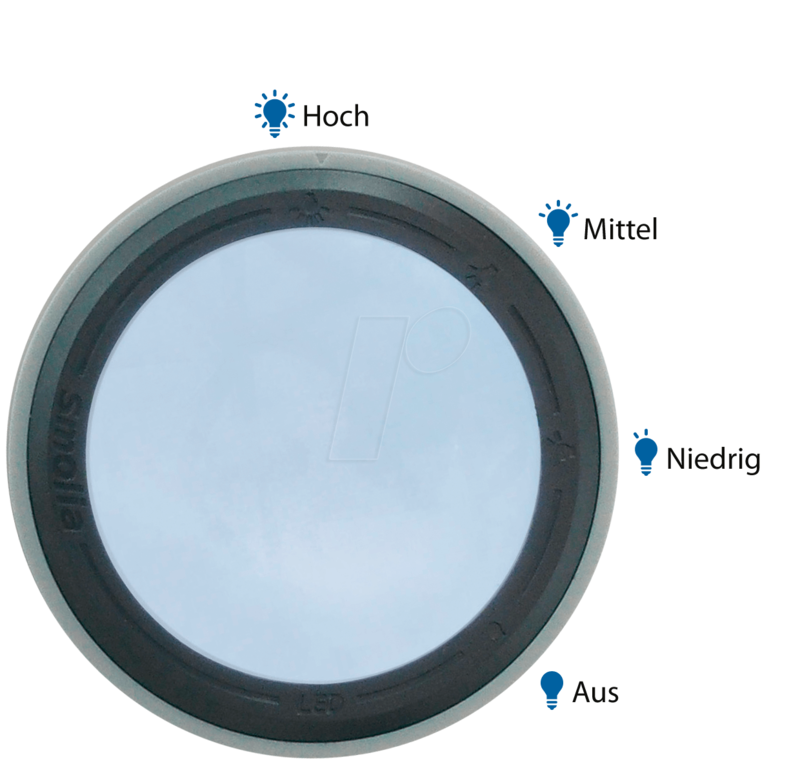 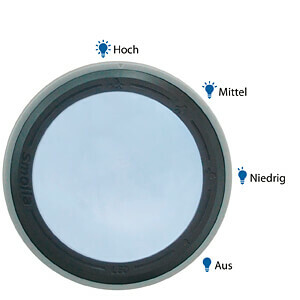 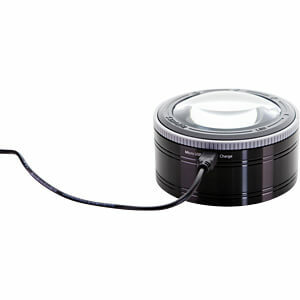 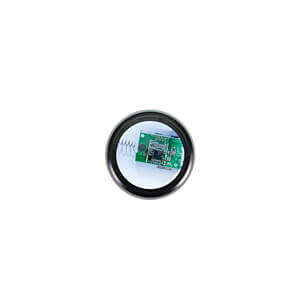 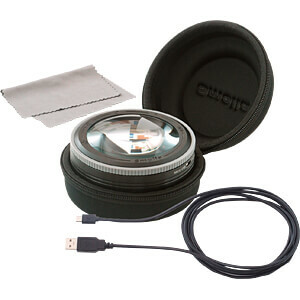 With a diameter of 74 mm, its lens is larger and allows a wider field of view and up to 3x magnification. 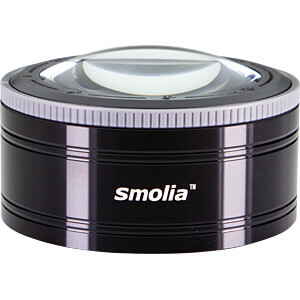 By stroking over the outer edge, the built-in LED lighting of the smolia RC is activated. 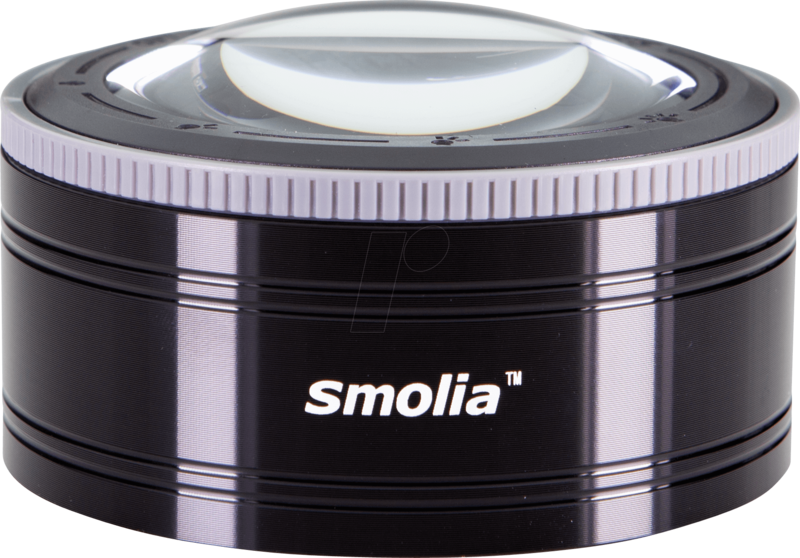 For smoother reading in any lighting conditions, the smolia RC also has a dimming function that makes it easy to intuitively paint on the outside edge.